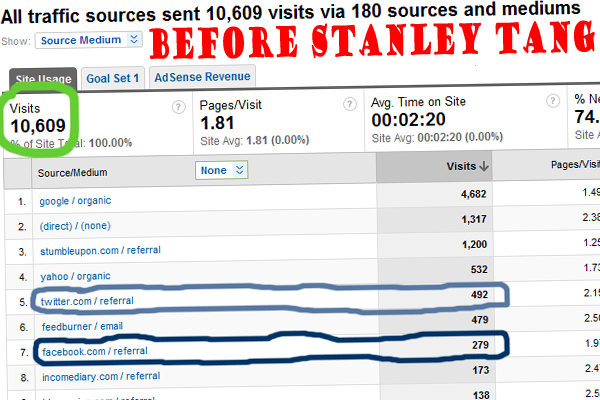 Prior to picking the brain of Stanley Tang, like most website owners I put almost 100% of my social media effort into building my Twitter account. I put several hours per week into tweeting, retweeting, replying, searching, following, listing, and perusing the Twittersphere. With all that, I managed to extract 4.6% of my traffic from Twitter in the four months leading up to Stanley’s interview. 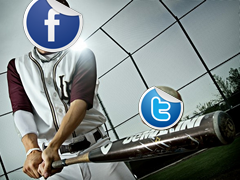 “Over the past year, the effectiveness of Twitter as a marketing tool has decreased slightly. Before, when I had 10,000 followers and I sent out a link, I’d probably get the same amount of clicks as I get today – and I have over 100,000 followers. Twitter has gotten kind of saturated. I realized that I’ve experienced the same thing, except on a smaller scale. When @JuniorBiz had about 800 followers I would get anywhere from 5-15 clicks within 10 seconds of posting a tweet. Now with 2700 followers, I’m lucky to get a few clicks per tweet over a matter of days. Click it and comment to see how it works. We also created a Facebook page for our book, but this was meant to drive traffic back to the book site, not JuniorBiz. In the last four months since interviewing Stanley Tang, our Facebook traffic has increased by 356% and the only significant change we made was adding the “Like” button to our posts. We have 2,739 followers on Twitter compared to 110 fans on Facebook. Yet, Facebook now drives 406% more traffic and I’m still spending more time on Twitter. 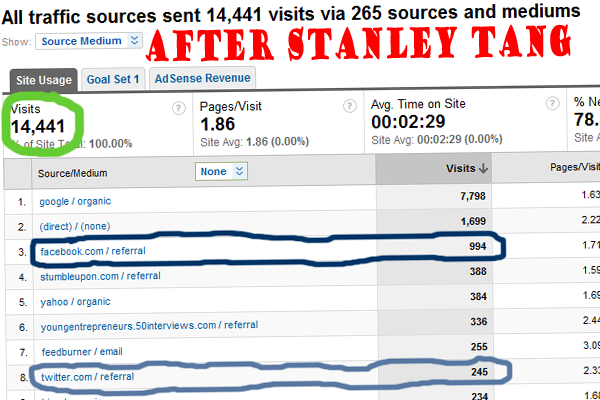 Two paragraphs in Stanley’s interview helped us increase our traffic from the 2nd biggest site in the world by 356%. There are eight other things that Nick and I are working on right now as a direct result of Stanley’s advice. How his business got him into an Ivey-league school half-way around the world. How he launched his book as an instant best-seller. Why he is getting out of internet marketing. And this is just one of the 25 interviews in our book. Reading it is the only way to learn the proven money-making secrets from the world’s top young entrepreneurs. When you buy What it Takes to Make More Money than Your Parents, we guarantee that you will be inspired and find practical advice on every page — or your money back.